At the beginning of the week three women were found at a house in Ohio, after vanishing on separate incidents around 10 years ago. 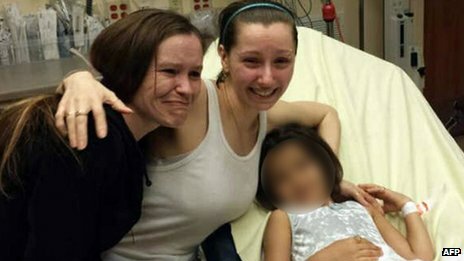 Their escape was helped by neighbour after Amanda Berry's(Centre) bid to escape. Police have the three suspects of kidnapping the three women, with astonishing details coming out whilst they're still be investigated. This shows how brave the three women have been and how they had no given up hope of escaping. Last week I mentioned the factory collapse in Bangladesh death toll passing 600, this week the toll is up to over 1,000 people. But most amazingly one woman, Reshma Begum, (Pictured) has been rescued after being trapped for 17 days, surviving on biscuits and rain water. At this point rescue workers had given up hope of finding anymore survivors. Rescue workers are at the basement area, still searching for people. 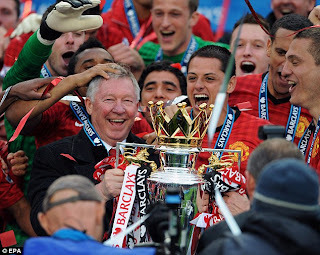 Now, I don't know a lot about football but I do know that Sir Alex Ferguson's resignation meant a big deal to football fans. After 26 years at Manchester United, Sir Alex has decided to concentrate on his wife and family. As he's not getting away from Manchester United that easily, they've made him a director and ambassador for the team. Alls well that ends well. I hadn't intended to mention this story this week but after taking time to read it, it's definitely not one to miss, or forget at that! Richard Branson got in touch with his feminine side after losing a Grand Prix bet with AirAsia chief executive Tony Fernandez two years ago and boarded a plane to Malaysia in full AirAsia uniform. At least someone can still laugh at themselves these days! I like the Kardashians and have nothing against Kanye West either, except some of his songs. Either way this is pretty funny, especially when he goes a bit crazy at one of the photographers, it's not really their fault that you walked into a pole. Should have been looking where you were going, that's all I'll say.